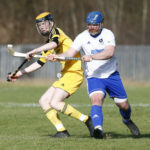 An Inveraray youth player got on the scoresheet for the south in the inter-district shinty series. The matches were staged on Sunday November 24 at An Aird, Fort William, and in the under-14 Fraser MacPhee Memorial Cup an excellent and well-organised south team pushed the north all the way. The game was finely balanced before Inveraray’s Coll Mackay broke the deadlock on 65 minutes with a well-taken goal. 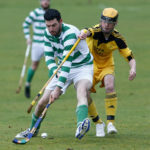 North captain Euan MacCormick levelled matters ten minutes later and it all came down to penalties, with the north winning 4-2. The North won the under-17 match 8-0 to retain the trophy.